My kids love to watch this machine make pictures and spell their names. 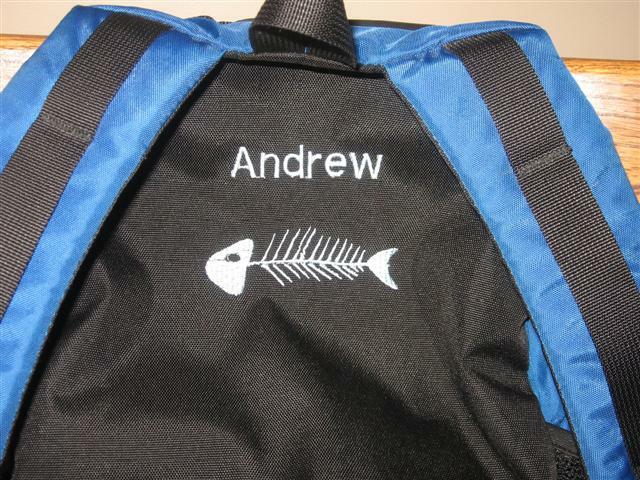 My first real project was to label my son's backpack. He has the same bag as quite a lot of other boys at school and it has been mixed up in the past. My smallest hoop is actually quite big and it didn't fit on the face of his bag so I put it on the back. I actually think this is better since I don't like their names being visible on anything they are wearing in public. 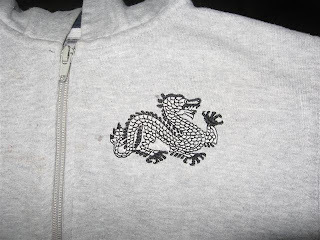 Next up is a dragon for my little guy's plain hoodie. He picked this himself and said "His name is Blackie and he wants a cookie."